Wondering what to do with that fancy salt in your pantry? 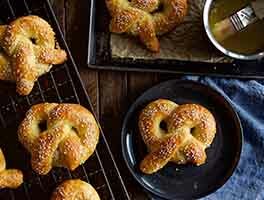 Showcase it on these light-and-crunchy crackers. 12 hrs 25 mins. to 18 hrs 30 mins. Whisk together the flour, yeast, salt, baking soda, cream of tartar, dough improver, and sugar. Set it aside. Put the water, butter, and oil in a microwave-safe cup, or in a saucepan. Heat gently just to melt the butter. Remove from the heat, and cool to 120°F-130°F. If you don't have a thermometer, this will feel hotter than lukewarm, but not at all uncomfortably hot; it'll be cooler than your hottest tap water. Add the liquid ingredients to the dry ingredients. Beat at medium, then high speed for a total of about 90 seconds, to make a soft dough. Place the dough in a lightly greased bowl, cover it, and refrigerate overnight, or for up to 18 hours. It won't rise much; the bowl can be small. Remove the dough from the refrigerator, and allow it to rest for about 15 minutes. Preheat the oven to 425°F. Lightly flour a work surface (a silicone rolling mat works well here), and remove the dough from its rising bowl. It won't feel like normal yeast dough; it'll be more clay-like. Shape the dough into a 3" x 5" rectangular block; pre-shaping it like this will help you roll it out evenly. Roll it into a rough 13" x 15" rectangle; it'll be quite thin. Be sure to keep the rolling surface well-floured, to avoid sticking. Starting with a shorter side, fold the dough in three like a business letter. Roll it out again, this time to an 11" x 19" rectangle, or thereabouts. The dough will shrink when you stop rolling it; your goal is to end up with a rectangle that's about 10" x 18". Sprinkle the dough with your choice of salt — we like an herbed or smoked salt — and gently press it in with the rolling pin. Using a rolling pizza wheel (easiest) or a baker's bench knife, cut the dough into 2" squares. Note: If you're using a silicone mat, cut very carefully - you don't want to damage the mat. We like to use an acrylic-blade pizza wheel. Transfer the crackers to two lightly greased or parchment-lined baking sheets; you can put them fairly close together, as they'll shrink as they bake, rather than spread. Prick each cracker once or twice with the tines of a fork. 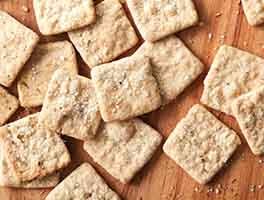 Want to make soda crackers with King Arthur Unbleached All-Purpose Flour, instead of with Italian-Style Flour? Increase the water to 1/2 cup. Understand the dough will be more difficult to roll thin, due to the higher gluten. But give it a rest when it fights back, and gradually you'll get to the thin-ness you want. I didn't quite get these crispy because they were browning so quickly, but they are still very good. They remind me of thick pita chips. I used the "Everything" bagel topping and some salt on my second batch. They taste great but--like with the first batch--I have not achieved a crisp cracker yet due to quick browning. The texture isn't a problem, though. I rather like them a little thick and chewy. 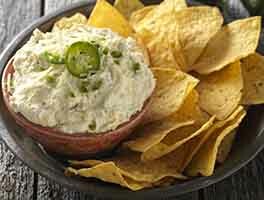 No more store bought crackers in my house with this recipe! These are amazing. Just the right crispness, flakey and great flavor. Oops, forgot the sugar but did not seem to alter the flavor or rise. Rolled out beautifully. Used the KAF Everything Bagel topping for seasoning. A general cracker question - I'm having problems getting my crackers crispy. They look right, nicely browned, but they're not crisp. Am I rolling the dough too thick? My final rectangle was about an inch bigger than what your recipe said, so thought I'd rolled it thin enough. So given my issue with non-crispy crackers, the problem is me not the recipe. The dough was surprisingly easy to work with, and smelled amazing while baking. The recipe was very straightforward and the dough behaved exactly as indicated. The taste was sooo much better than store bought. The blog post really helped me see how to prepare the crackers and was very much appreciated. I could have used more salt - next time! In addition to the gourmet salts listed in the blog, I would like to recommend The San Francisco Salt Co culinary salts. They have very unique salts and for my crackers I used their Hawaiian black lava salt and red Alea salt. I really miss premium fat free saltines . They were more crisp and less tender. I loved that crunch. How can I use this recipe and replicate that fat free super crisp crunch? My goal is to make my crackers look as good as those in the photo next time, but in the meantime, they taste great! 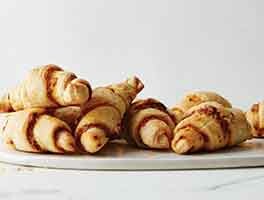 Nice dough to work with; rolls out easily. 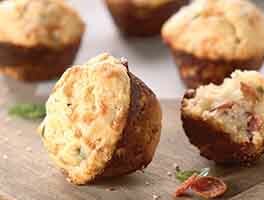 These make a phenomenal starting point for adding extra flavor for bakers looking to replace purchased snack crackers (say, for a junk food loving family member...) I sprinkle the dough with dried herbs and red pepper flakes before the "fold like a letter" step to good effect, and the dough itself can take a tablespoon or two of cheese powder for background flavor, too. Just plan on making a double batch if you don't want all of them to disappear in one sitting! I'm rating this based on the first time that I tried this recipe, when I actually followed the recipe and obtained beautifully soda cracker-y results. Too salty for my taste, but that's easily fixed. This more recent time, I tried substituting 2 tbsp buttermilk for the 2 tbsp oil. Great flavor! Soggy texture! I might try the substitution again with a longer baking time and lower temperature, but I imagine that it may simply be a "Oh well."